Please join Romania Energy Center (ROEC) for a presentation, followed by a discussion, of its latest Special Report titled “NATO Warsaw Summit and Beyond” to take place on November 29, 2016, at the Faculty of Political Science, Negru Vodă Str. No. 3, Rossetti Hall in Bucharest. 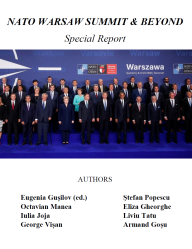 The Special Report was co-authored by an interdisciplinary team of ROEC experts and co-sponsored by the North Atlantic Treaty Organization (NATO). It is the analytical output of a consistent research work conducted during June-September exploring five topics: NATO’s access-denial problem after Warsaw, NATO missile defense in Europe, Nuclear Deterrence today, Russia’s reactions, and Turkey’s role in NATO. Open to public. RSVP Required. Please join Romania Energy Center (ROEC) for a presentation, followed by a discussion, of its latest Special Report titled “NATO Warsaw Summit and Beyond” to take place on November 4, 2016, at the Babeș-Bolyai University of Cluj. 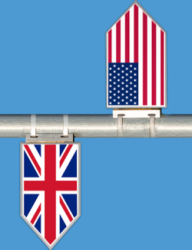 The Special Report was co-authored by an interdisciplinary team of ROEC experts and co-sponsored by the North Atlantic Treaty Organization (NATO). It is the analytical output of a consistent research work conducted during June-September exploring five topics: NATO’s access-denial problem after Warsaw, NATO missile defense in Europe, Nuclear Deterrence today, Russia’s reactions, and Turkey’s role in NATO. Open to public. Please join Romania Energy Center (ROEC) for a presentation, followed by a discussion, of its latest Special Report titled “NATO Warsaw Summit and Beyond” to take place on October 19, 2016, at the Alexandru Ioan Cuza” University of Iasi (UAIC). 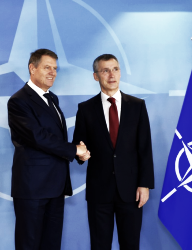 The Special Report was co-authored by an interdisciplinary team of ROEC experts and co-sponsored by the North Atlantic Treaty Organization (NATO). It is the analytical output of a consistent research work conducted during June-September exploring five topics: NATO’s access-denial problem after Warsaw, NATO missile defense in Europe, Nuclear Deterrence today, Russia’s reactions, and Turkey’s role in NATO. Open to public. Please join Romania Energy Center (ROEC) for a presentation, followed by a discussion, of its latest Special Report titled “NATO Warsaw Summit and Beyond” to take place on October 10, 2016, at the Academy of Economic Science in Bucharest. 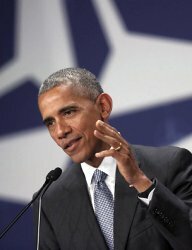 The Special Report was co-authored by an interdisciplinary team of ROEC experts and co-sponsored by the North Atlantic Treaty Organization (NATO). It is the analytical output of a consistent research work conducted during June-September exploring five topics: NATO’s access-denial problem after Warsaw, NATO missile defense in Europe, Nuclear Deterrence today, Russia’s reactions, and Turkey’s role in NATO. Open to public. RSVP required. 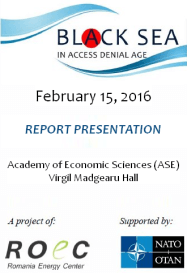 Please join Romania Energy Center (ROEC) for a presentation, followed by a discussion, of its latest Special Report titled “Black Sea in Access Denial Age” to take place on February 15, 2016, at the Academy of Economic Science in Bucharest. The Special Report was co-authored by an interdisciplinary team of ROEC experts and is part of a larger ROEC project implemented by our center in the second half of 2015 and co-sponsored by the North Atlantic Treaty Organization (NATO). It is the flagship output of the analytical effort to explore the implications of an emerging anti-access/area denial (A2/AD) bubble in the Black Sea along three key dimensions: Crimea’s militarization and NATO’s potential offset strategy; hybrid warfare, and upstream access denial. Open to public. RSVP required. For the third consecutive year, Romania Energy Center (ROEC) is proud to support the Black Sea Offshore Conference, an established annual event dedicated to E&P activities in the Black Sea region, organized by Global Business Club Ltd. 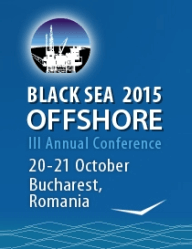 The conference will take place at Intercontinental Hotel in Bucharest, on October 20-21, 2015, and is supported by the National Agency for Mineral Resources of Romania (NAMR), the Bulgarian Ministry of Economy and Energy and the State Agency of Oil and Gas of Georgia. The event brings together all relevant stakeholders to discuss new tenders, cost optimization, new seismic technology, gas transportation projects and many other exciting topics.